Streamline Sales & Digitize Operations with a smart POS Solution. Charge Savvy, a business product was developed for a client to control sales, stock, payments, orders, payments & customers. It is best designed with the multitude of advanced features & tech stack to fit your Hotel, Cafe & Retail store to offer a unique experience to the customers. Based on the latest advances, the Charge Savvy offers the flexibility of registering orders, sending it directly to the kitchen, viewing transactions & making payments at the table in real time. 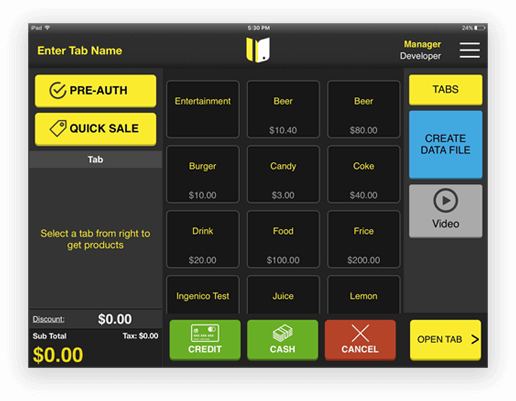 Our hi-tech tablet-based POS is developed using Objective C, iOS SDK and a web-based back office is developed using HTML, PHP & Node.js to run seamlessly on secure servers without any software installation. 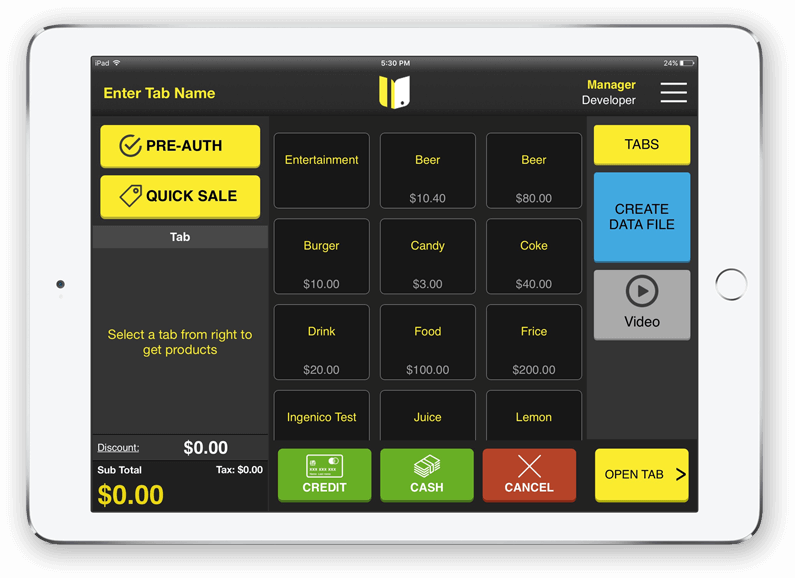 An ideal POS system for retailers works effortlessly on iOS to monitor sales anytime & anywhere. This pocket-sized highly built POS fascinates users by its convenience & ease to visualise sales analytics. To embrace the future of retail marketing, we developed a feature-rich business product with real-time updates & user-friendly experience. The POS system not only saves time but also brings in more sales opportunities, supports easy & faster transactions, generate revenues and expands the customer base. How Does Charge Savvy POS Work? The Charge Savvy POS solution allows the user to create orders & pick out product by name or product SKU or scan a product barcode. Once selected, the custom discounts will be applied to the items to process payments with ease. To make payment, select the payment method enabled for Charge Savvy i.e. CASH, NYC, Credit/Debit Card, Manual Entry and printer STAR, Mini Receipt Printer. 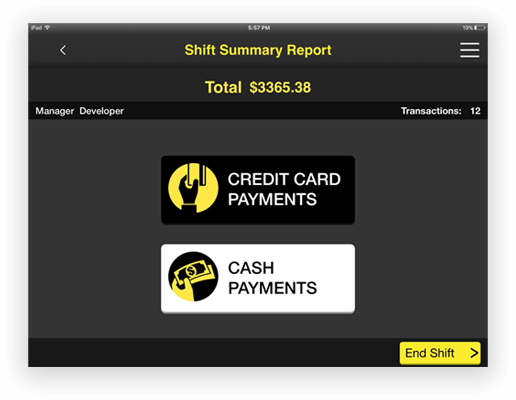 Charge Savvy supports Core- Bluetooth Cash Drawer to keep track of the cash payments. 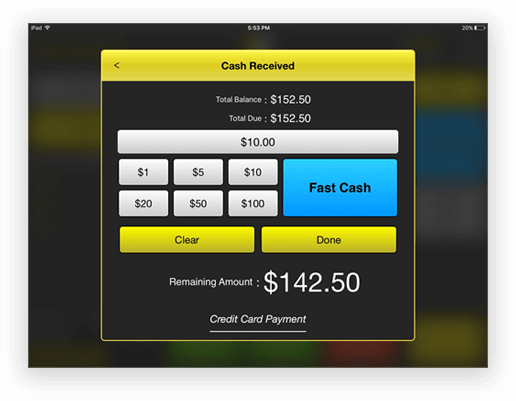 The cash drawer opens automatically only for the cash payment method. POS System using receipt printers, allow the cashier to hand receipts to the customers. 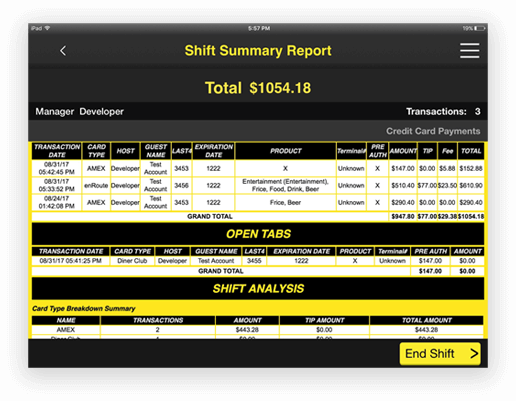 Charge Savvy POS track sales & generate visual analytic reports based on daily, weekly & monthly sales. 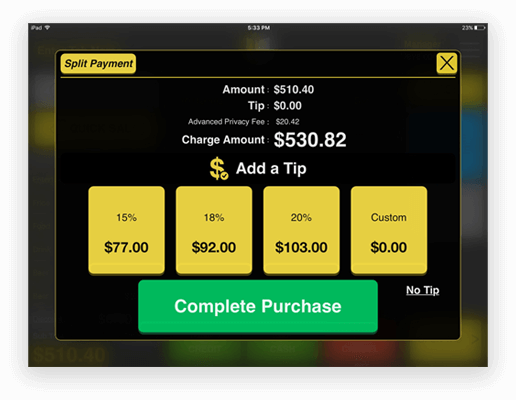 To improve back of house operations, Charge Savvy comes with the most feature-rich Kitchen Display System. The KDS for restaurants automatically notifies the staff what to prepare when the customer places an order. Our effectively crafted Kitchen Display System speeds up customer service, food delivery and billing by using a tablet or web for order taking. Moreover, the orders at glance provide detailed info about the wait time & order placed. The idea behind KDS was to make restaurants, bars, hotels & cafes go green. Charge Savvy POS as an amazing tool enables businesses to keep a check on their sales reports & store from a remote location. With a remote access to Operation Management & Database, you can get a complete picture of Total sales Summary, Detailed Sales Report, Credit Card Summary, Refunds/Cancelled/Void Transactions, & more. Our hi-tech POS system in sync with web-based back office, drive success by managing reports & sales analytics. The fast & seamlessly designed back office suite analyse sales, determine top selling items & browse transaction history. What Makes Charge Savvy Stand Out? 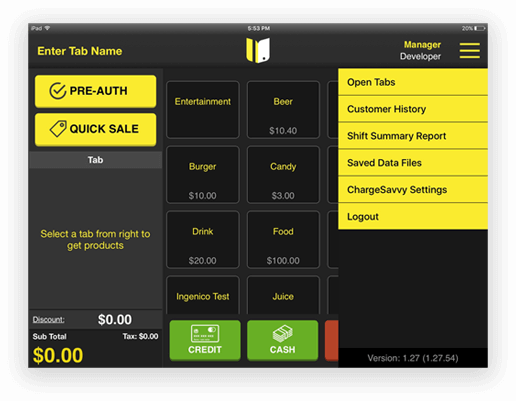 Charge Savvy POS is not only perfect for retail or kitchens plus it takes the pain out of the payment process. Be it a Paperless Receipts, Tableside Checkout, Fight Chargebacks or EMV Complaint, this robust tool allows the user to make secure payments. As a comprehensive solution for almost all industries, the POS manages customers, inventory, reports & chargebacks from client’s dashboard. TableSide Payments bring the multiple benefits to the customers such as Higher Table Turns, Less Waiting, Reduced Chargebacks & Eliminates Identity Theft. It is built to split simply either by joining seats with a swipe or separate to split bills hassle-free. Fight Chargebacks aim to avoid duplicate transactions, the tool provides real-time fraud analytics. To manage & prevent chargeback, the Charge Savvy POS features Fight Chargebacks to customise disputes before transmitting it to banks. EMV Complaint technology reduces the fraud losses by supporting EMV cards. This updated POS system process EMV complaint payment cards to replace the ‘magstripe’ cards open to fraud. Cab/ Driver Management helps in monitoring pick up & drop off locations of users. From User/Driver Management to Booking Details, this upgraded POS system offers a reliable solution. HTML Report generation from the data saved on Parse.